The remarks came as the clock clicks down the last several weeks until November 4, when the US is due to target Iran with restrictive measures pertaining to the Islamic Republic's oil sector. The foreign ministers of 28 EU countries will sit down for talks in Luxembourg later on Monday to discuss possible new sanctions targeting Russia over its alleged use of chemical weapons and hacking activity; they will also address cooperation with former Soviet countries in Europe and the Caucasus region via the Eastern Partnership program. 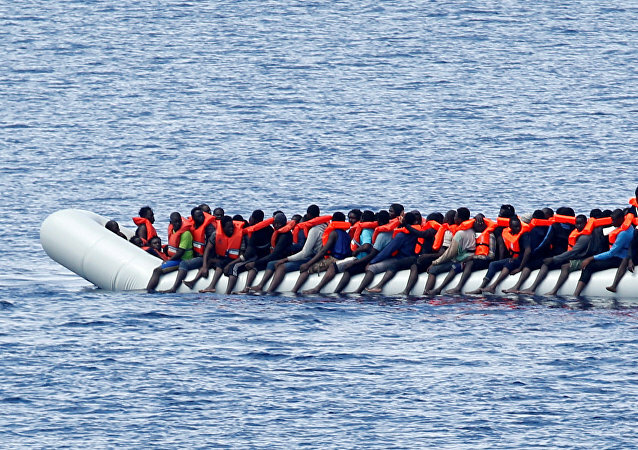 The Libyan government’s restriction on foreign nongovernmental organizations (NGOs) operating off the coast of the country can be extremely dangerous and it can put thousands of lives at risk, Stefano Argenziano, manager of Migration Operations for Médecins Sans Frontières told Sputnik. 'New Intrigue': Will Trump Sit Down With EU to Make Concessions on Sanctions? Commenting on Germany's readiness to discuss the new anti-Russian sanctions with US President Donald Trump, a Russian political analyst told Sputnik that such talks could become a new stage in the situation with the sanctions. Rogue Three: Would Iran and Russia Consider Including N Korea in Anti-US Bloc? The US Congress has already approved a bill introducing new sanctions against Iran, North Korea and Russia, leaving analysts to wonder whether Moscow and Tehran will consider including Pyongyang in a full-fledged alliance. The US draft legislation changing the requirements for registration of foreign agents amounts to an uncovered act of halting any external unbiased criticism of policies carried out by Washington, Melinda Taylor, who led the case of WikiLeaks founder Julian Assange before the UN Working Group on Arbitrary Detention, told Sputnik on Friday. The sanctions Washington launched against Moscow in the final week of 2016 became outgoing President Barack Obama's "New Year's gift to is successor Donald Trump, according to Derek Norberg, head of the Russian American Pacific Partnership. The eurozone supports the European Commission's proposal to impose sanctions on Spain and Portugal for missing their deficit targets, according to Eurogroup President Jeroen Dijsselbloem. 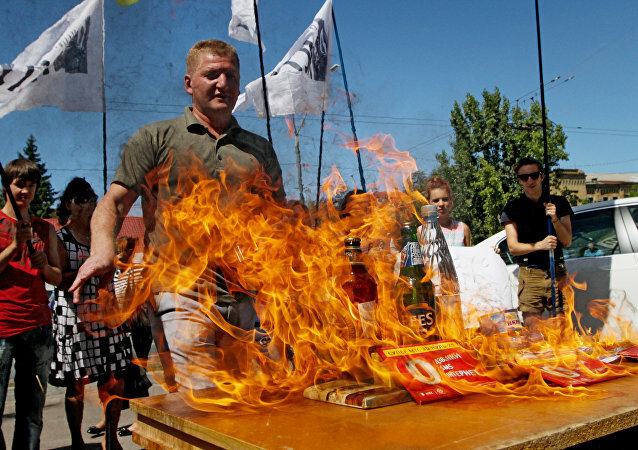 Ukraine will impose countermeasures against Russia in case of Moscow's transit ban come into effect. 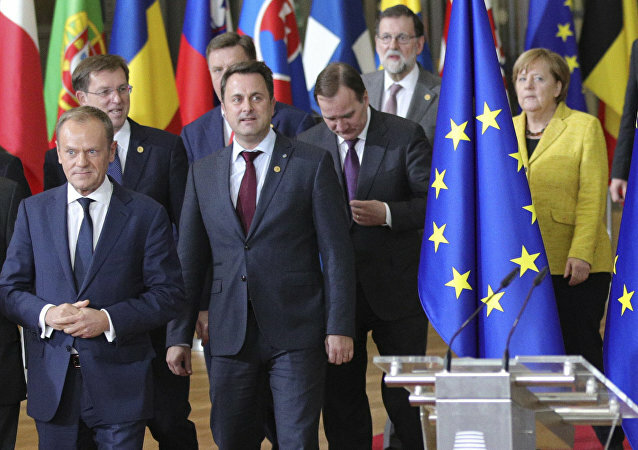 Britain's possible withdrawal from the EU may strengthen the position of EU members which support the abolition of anti-Russian sanctions, according to Bertelsmann Foundation expert Stefani Weiss. Countries that impose entry bans and other sanctions against Russians who vacation in Crimea without the permission of Ukrainian authorities stand to lose all their Russian tourists, Crimean Minister of Resorts and Tourism Sergei Strelbitsky told Russia's RIA Novosti on Thursday. On Tuesday, the European Parliament said on its website it had restricted free access to the parliament to the Russian ambassador, as well as one other diplomat, in retaliation for Moscow’s list of 89 EU politicians, diplomats and military experts banned from entering Russia.